History is full of men’s hair icons. From film stars to footballing legends, a simple search for ‘men’s hairstyle inspiration’ returns millions of shots of styles made famous by celebrities, from Clark Gable to Paul Newman, Brad Pitt to David Beckham, George Clooney to Madame de Pompadour… Wait, what? Madame de Pompadour? The very same. Not a man, of course, but surely the mother of one of the greatest men’s hairstyles in history. Sure, Madame de Pompadour was the chief mistress of an 18th-century French king, but that didn’t stop her towering hairstyle becoming beloved by blokes the world over two centuries later. While hers was a sort of upstyle on acid, what we over the years have come to know and love as the pompadour is, at its simplest, a style that calls for hair to be swept up and back over the head. The sides and back are combed neatly and kept close to the head while a sort of mound, or quiff, is constructed using the longer hair at the front. If that sounds complicated, it’s not. Trust us, for a style created by a French mistress, the pompadour is a lot more versatile than you might first think. There are so many variations on the style that it can be cut and tweaked to suit men of all ages, tastes and professional obligations. After all, what other style could work as well for men as disparate in their tastes as a footballer (Becks) and a film critic (the unfortunately named Mark Kermode)? Here, you’ll find a step-by-step expert guide to everything you need to know about the pompadour, from how it came about to how to get one and how to make sure it looks its best. Primarily a women’s hairstyle until the 1950s, the pompadour’s first great male ambassador was a man who liked his hair as greasy as his diet: Elvis Presley. The King of Rock ‘n’ Roll was one of a new generation of male stars, along with actor James Dean and fellow musician Little Richard who, from the 1950s and 1960s onward, proved that this heightened hairdo wasn’t just for girls. By the late 1970s, the pompadour’s strict form had lost favour among a generation of men eager to do little with their hair other than let it grow and (maybe) wash it every now and again. But by the 1980s and the emergence of psychobilly, the style was making a comeback. Today, although rarely seen in its classic form, the pompadour remains one of the hands-down best hairstyles for men, a look proudly sported by style icons including model Jon Kortajarena, Zayn Malik and Zac Efron. Interest piqued? Here are a few things to bear in mind before giving your barber the go-ahead. 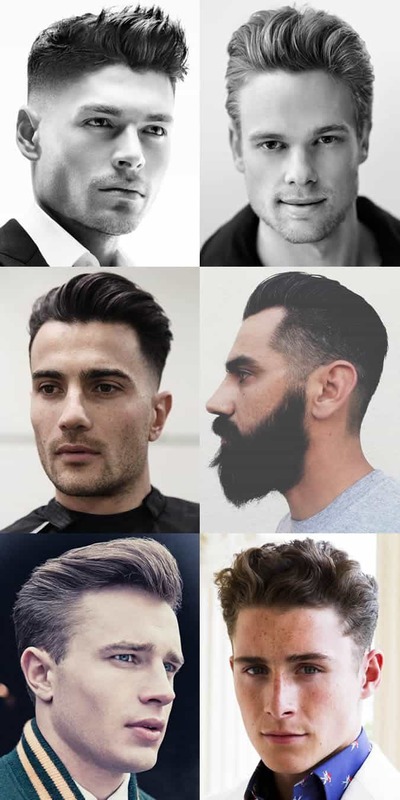 First, before we get to the root of which hair types suit a pompadour, it’s worth pointing out that unless you’ve got plenty of hair – that is at least 4-6cm at the fringe and decent coverage elsewhere – then the pomp’s not right for you. If you’re receding dramatically or thinning on top, then swap this forehead-bearing style for something more flattering to a thinning thatch such as the French crop. Guys with straight, finer hair will find it easier to create a finely sculpted classic pompadour, whereas men with thick and curly or wavy hair will find this natural kink lends itself to more textured variations. Key to creating the perfect pompadour is getting the right cut in the first place. Like having enough hair, having the right amount of hair in the right places is equally important. “The pompadour is ideally suited to a face with a wide jawline and high cheekbones,” says Hughes. But, he adds, should you not be blessed with cover model proportions, then a good stylist should be able to deploy a few tricks of the trade to add the illusion of length or width to all kinds of face shapes. A clean-shaven face might have historically been the pompadour’s preferred partner, but as has been proved by many beard-loyal blokes in recent years, this hairstyle looks just as good with a face full of fuzz. “A beard can really accentuate a modern pompadour,” says Nicolaou. “It’s important though, that you balance the length and shape of your beard with that of your hairstyle.” Which means if you have a rounder face and longer beard, the quiff part of your pompadour should be of a similar length to elongate the face. Also worth noting is that – while there’s nothing exactly wrong with a classic long-on-the-sides pompadour teamed with a beard – a sleeker, more modern and overall less Wolverine-y look can be achieved by opting for a disconnected pompadour with the hair clipped short at the back and sides. This will create some much-needed contrast between the volume of the pompadour itself and that of your beard. Fancy aping Elvis’s iconic hairstyle? Then this is the pompadour for you. As good as it looks today, this style is a throwback in the truest sense. But whereas life in the 1950s might have allowed a man time to spend upwards of 15 minutes whipping his hair into shape, today’s pace means this style is best suited to those prepared for some serious upkeep. Known for its volume and high-shine, the classic pompadour requires plenty of hair that’s been scissor cut slightly shorter at the back and sides compared to the top, with the fringe left longer than the hair at the crown. When it comes to styling, reach for an old-school pomade such as Dax, which guarantees that slick, brilliantly shiny finish. Like the King’s do but want something more contemporary? Try a modern, disconnected pompadour. As the name suggests, this style is defined by a clear contrast between the shortness of the hair at the sides and back compared to the length of the hair on the top. Unlike the classic pomp, which is achieved with scissor-cut hair, the modern variation requires your hair at the sides and back be clipped either to a uniform length (usually a grade four or lower) or graduated, i.e. faded, from very short at the hairline at the sides and back to slightly longer towards the crown. Less work than its classic forebear, the modern pompadour does not require a lot of combing and styling at the sides and back, so it’s ideal if slightly pinched for time. If you’re looking for an alternative to the classic pompadour that’s a little less, well, extra, try shaving off a few inches. Less of a commitment than longer variations – not only in terms of time, but also the confidence required to pull it off – the short pompadour is a more subtle take on the modern style. The sides and back are clipped short, either to a uniform length or faded, and the hair at the fringe, while longer than the sides and back, doesn’t go beyond about 4cm. Although you’ll still need to go through the motions to build the pomp, you’ll be working with a lot less hair, which means you’ll save both time and product. Traditional pompadour styles a little too neat for your taste? 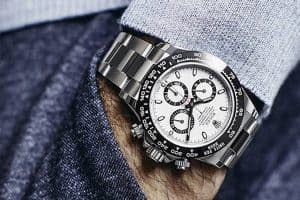 Add some rough to the smooth with a textured take on the time-honoured style. Ideal for guys with curly, wavy and/or thick hair, the textured pompadour swaps the classic style’s clean lines and high-shine for a matte, tousled look that gives the impression you’ve just been riding a Yamaha at high speeds, or holding your own in a scrap. Rather than pomade, this style relies on a texturising clay or paste and while a comb can be used, your bare hands are near enough the best tools for the job. Whether you want a slick, tightly sculpted pompadour or one that’s loose enough to run your hands through, the basic styling method is the same. First, make sure to start with freshly washed and conditioned hair that’s completely free of excess oil, dirt and product residue. Lightly towel dry the hair. Then, with a comb and a hairdryer, blow dry it as you comb backwards from your forehead and temples backwards towards your crown and the back of your head, each time moving along the full shaft of the hair from root to tip. Next, apply a pea-sized amount of product. Make sure to thoroughly rub it between the palms of your hands first to warm it before running it through your hair. NB. Ignore our recommend product dosage at your peril. Apply too much product, and at best you’ll look like a Love Island reject; at worst, you’ll have to go straight back into the shower and start all over again. Start with a small amount, and you can always gradually add more as required. Resume combing, using the technique outlined in step two. As you comb with one hand, use the other to gently pat down the hair you’ve just combed. This helps to further smoothen the hair and shape the style. Next, create the quiff. With the palm of your free hand, gently push forward the hair you’ve just combed backwards – not a lot, just enough so that the hair starts to bend slightly. Then, use the comb to gently tease your fringe straight up and back, so that it curves up and back over your head. Unless your fringe grows poker straight, you’ll probably find that the style sits naturally with the fringe falling slightly towards the right or left. Don’t fight it, go with it. Once happy with the shape of your pompadour and depending on your desired finish, spray judiciously with a strong-hold hairspray to help keep everything in place. For a classic, sleek pompadour, use a high-shine pomade. Remember to finish with a strong-hold hairspray. For a textured, less meticulously sculpted pompadour, opt for a texturising clay, cream or paste, either combing through or using your hands to scrunch through your hair. Hold the hairspray for this one. 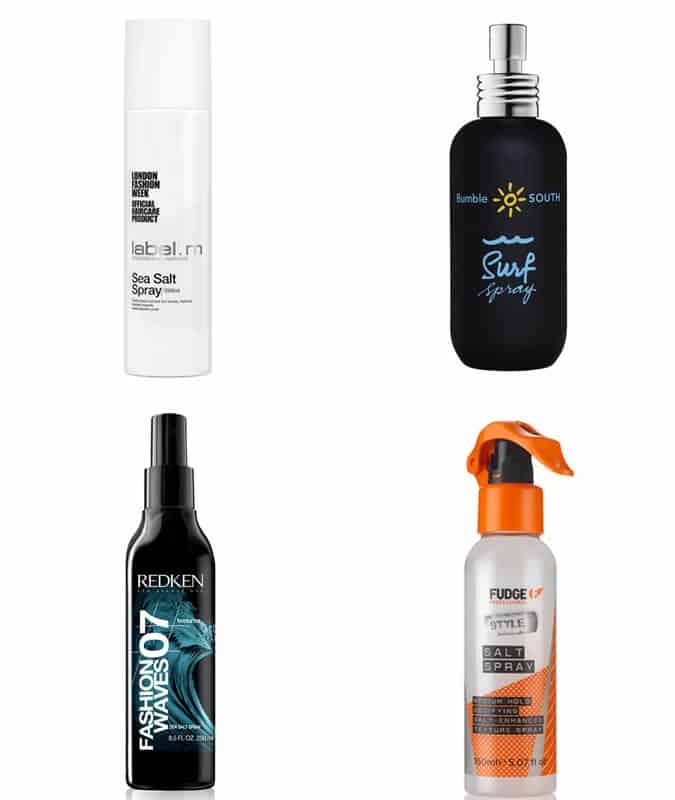 For a surf-inspired look that’s loose and relaxed, swap pomade and paste for salt spray instead. Spray liberally onto towel-dried hair and comb through to form a loose pompadour. Although this finish doesn’t offer much hold, it gives a more natural look, doesn’t require any heavy or greasy product and allows you to every now and again seductively brush it off your forehead and back into place. Never let it be said we don’t have your best interests at heart.